I was hooked from my first sip! Even our kids, who were small and still developing their tastes for the “finer things”, loved it. Even my then very skeptical husband loved it! And I love nothing more than trying new things and recreating them in my own kitchen — especially when I can take something that's normally full of sugar and make it healthier. Because if we only enjoyed lavender lemonade at Tina's, we'd get it less than once a year! 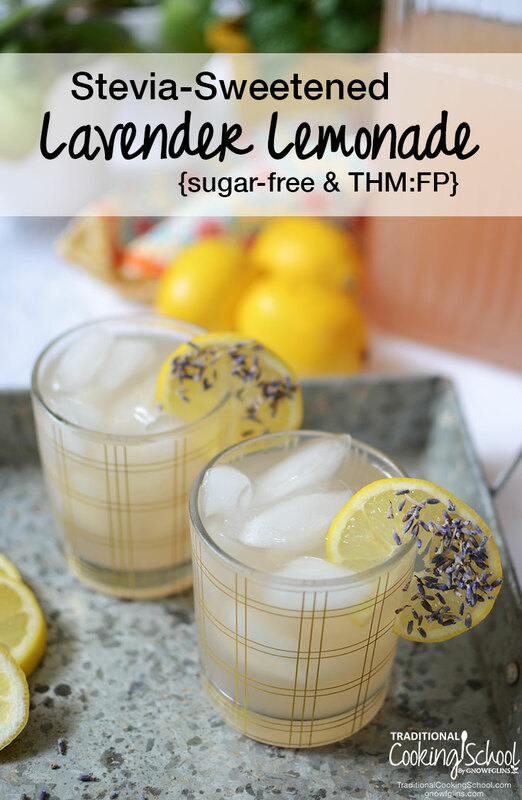 We don't eat sugar in our home, so this stevia-sweetened lavender lemonade is a perfect drink for us. Trim Healthy Mamas, you can enjoy this Fuel Pull (FP) drink in any setting, too! It's a little sweet, a little sour, and a little floral — so lovely and refreshing, especially on a hot day! 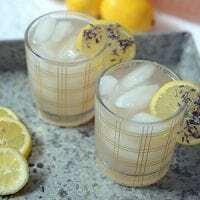 This stevia-sweetened lavender lemonade is a little sweet, a little sour, and a little floral -- so lovely and refreshing, especially on a hot day! Serves 8. Add the remaining 4 cups of water, the lemon juice, and the stevia. Do you sweeten lemonade with stevia instead of sugar or honey? Have you ever added herbs to lemonade? Can I drive my own lavender flowers from my yard and use them? Of course! This is the BEST option! I love using liquid stevia.